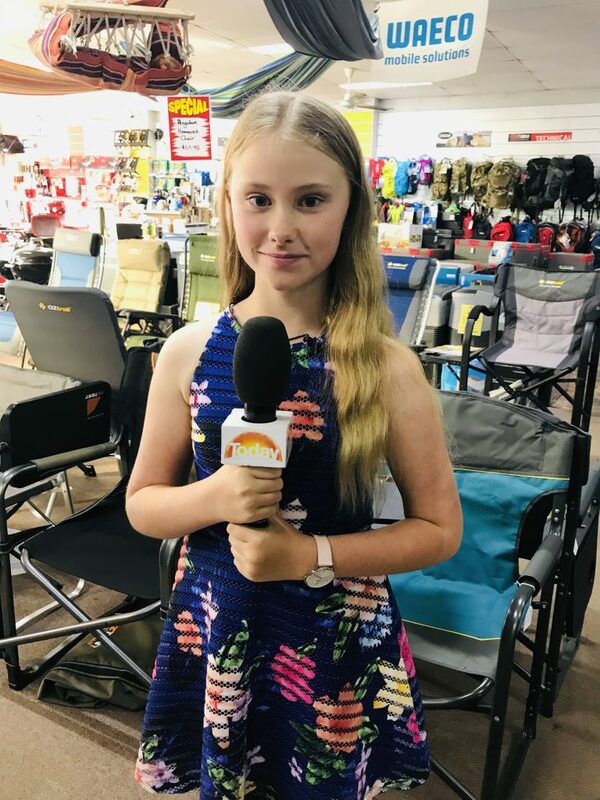 Caitlin Wadley is a 13-year-old aspiring news reporter who recently got a taste of her dream job on national television. 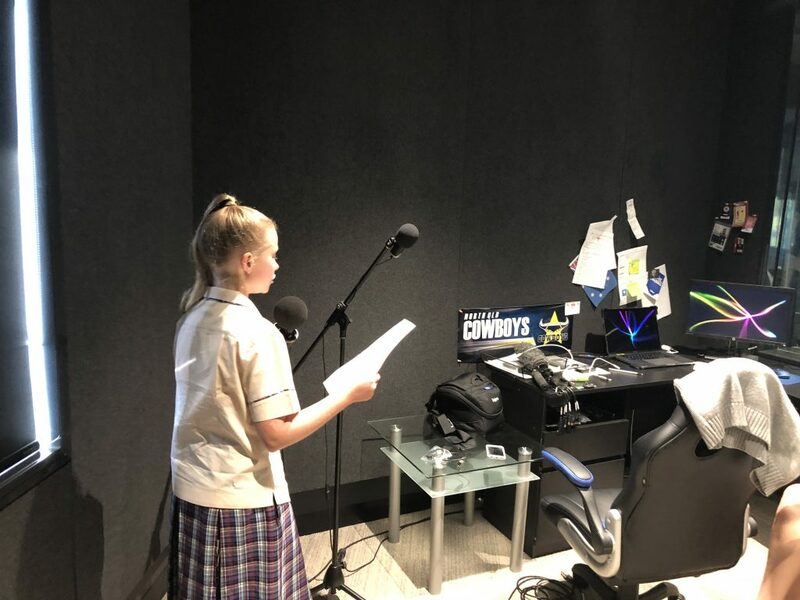 The exciting and unique experience has enhanced her passion for news reporting, and she is really happy that she found the courage within herself to give it a go. 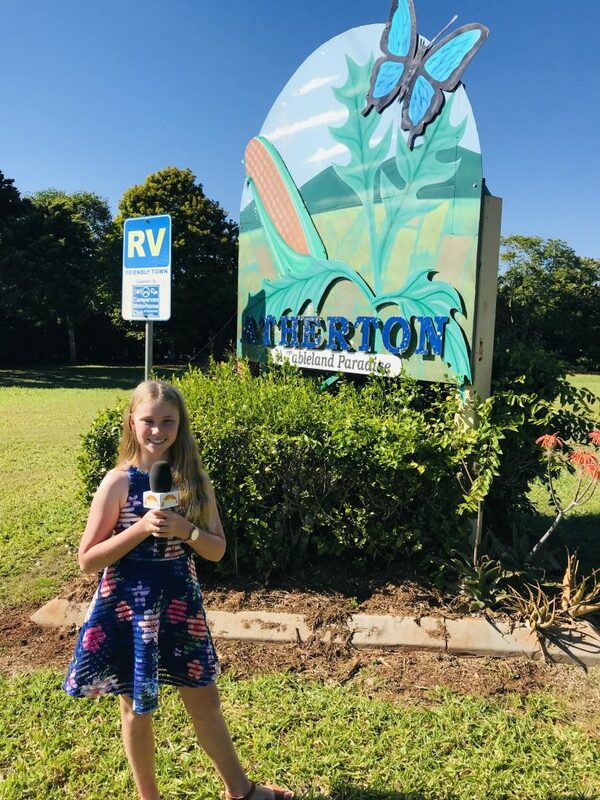 In Year 7 at St Stephen’s Catholic College, Mareeba, Caitlin won a competition run by The Today Show Channel 9 to find a junior reporter. To enter the competition, Caitlin submitted a video of herself reporting on an issue of importance to her. She chose the challenges facing small businesses in today’s world of internet shopping and big chain stores. Interviewing a customer with producer Loren Tomasi. Caitlin holding the Today Show microphone at her parent’s small business. 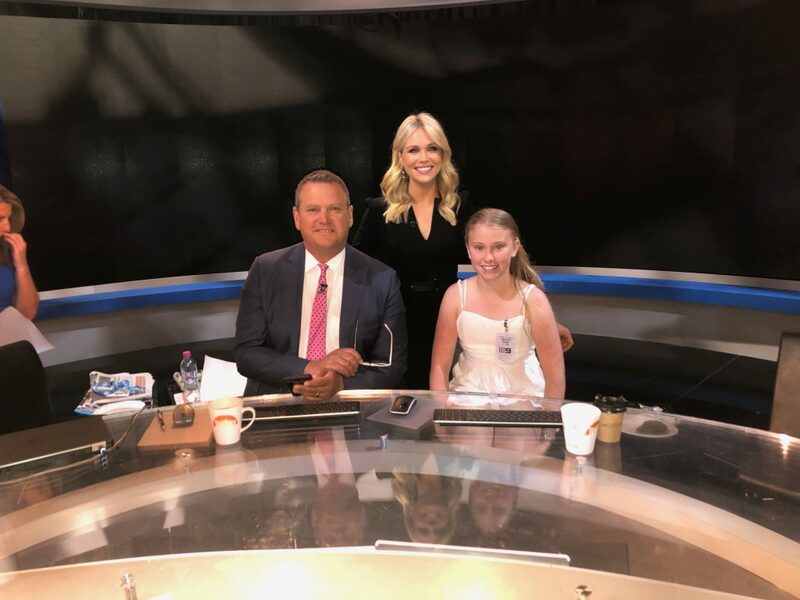 Caitlin with Tim Gilbert and Lara Bella in the Today Show studio, Sydney. What draws you to be a TV news reporter? Who inspired/encouraged you to enter the competition? What sort of experience/preparation helped you get involved? What do you think was it that made your entry a winner? How did you feel about the experience of being a reporter on TV? What was it like being in front of the camera? How did you stay calm and composed? What did you gain most from the experience that is likely to help you on your career journey? What do you say to other young people who might be faced with opportunities to pursue something as big as this? Here is the announcement of Caitlin’s win on Twitter (fast forward to about 51 seconds). 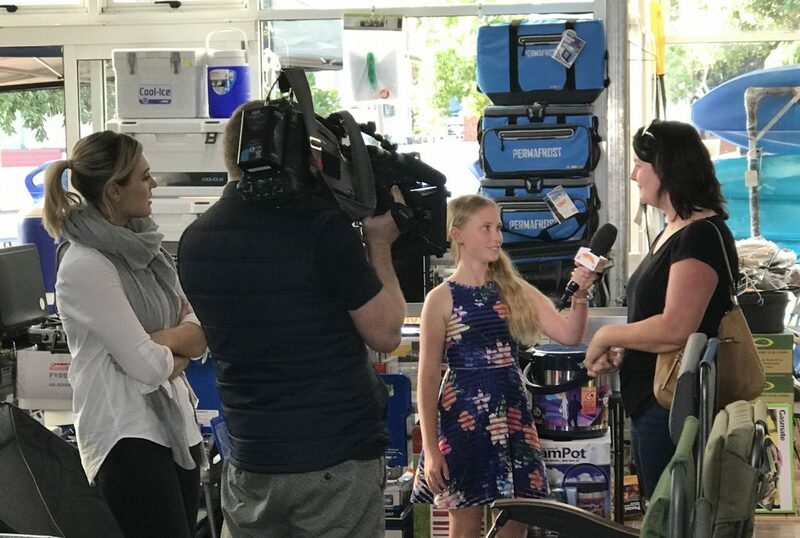 Here is a link to Caitlin’s on-screen national debut with Channel 9’s TODAY Show, reporting on the importance of buying local.